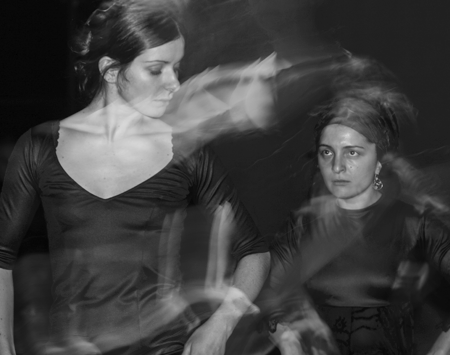 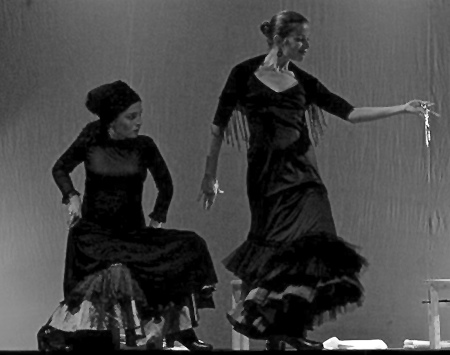 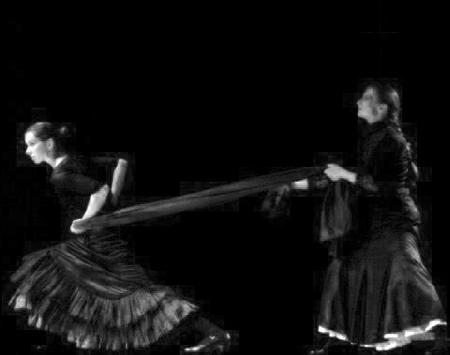 Designed as a research drama constructed in a dance language mosaic – Spanish flamenco, takoneo, clapping and a bold transposition of Lorka’s text into a music of silence, psychologically emphasized, the performance The House of Bernarda Alba steps into the moody currents of the theatre of ’the new Romanticism’, of a personal inner flicker of emotion. 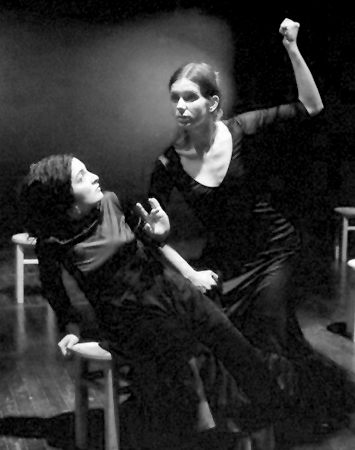 Elena Panayotova by her creative energy and well-thought over gesture of dramatist-director, proves that the heroine of her play is a possible-realistic archetypal Alba. 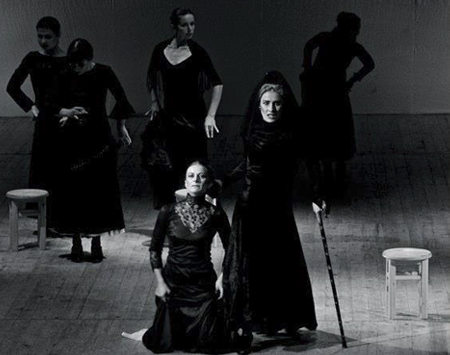 The performance “The House of Bernarda Alba” is a distinct esthetic artefact and a significant socio-cultural gesture… in the theatre situation of today in Bulgaria.